Patrick Reardon has been providing quailty carpentry and finishes for the last 22 years, and has been providing these services to South Florida homeowners since 1993. Stairs By Design was founded by Patrick Reardon in 2005. He specializes in not only Staircase Carpentry in Delray Beach and Boca Raton, but serves the South Florida area with a wide variety of custom design needs. 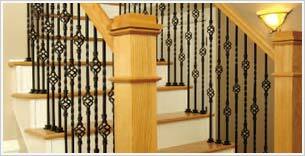 Patrick's specialties include stairways, staircase railings and crown moulding installation in South Florida. He also fabricates custom built-in cabinetry in the Boca Raton and Delray Beach area and exterior railings for Palm Beach and Broward County. Stairs By Design ensures that only the highest quality materials are used from our exclusive selection of manufacturers, to guarantee customer satisfaction for all carpentry needs in South Florida. Who is Stairs By Design? 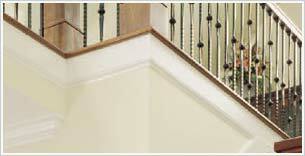 Stairs By Design serices South Florida in beautiful carpentry and staircase design! Born and raised in the mountains of Pennsylvania, Patrick Reardon is a small town carpenter in the big city. He is dedicated to providing unparalleled service that is hard to come across in this South Florida region! Patrick is always punctual, and shows up on time for each meeting and staircase consultation in South Florida. Your project(s) will always be compelted in a timely manner, and Patrick dedicates his Boca Raton carpentry services to ensure you receive the staircase or entertainment center of your dreams! What does Patrick Reardon do? Patrick Reardon says "No jobs are too small or too large!" He will take on any carpentry project you have in South Florida! From baseboards to wainscotting and wall mouldings and crowns -- Patrick Reardon takes on all projects in Delray Beach and Boca Raton. Cabinets for your beautiful Palm Beach home will be custom built to fit the style and natural beauty of South Florida. Entertainment Centers from mild to WILD, Stairs By Design will design you the entertainment center of your dreams in South Florida! Contact Us today to get started on your Palm Beach carpentry project today!